If you want a beautiful and original ashtray which is also a great gift idea, Samarkand Mandarin is just perfect. 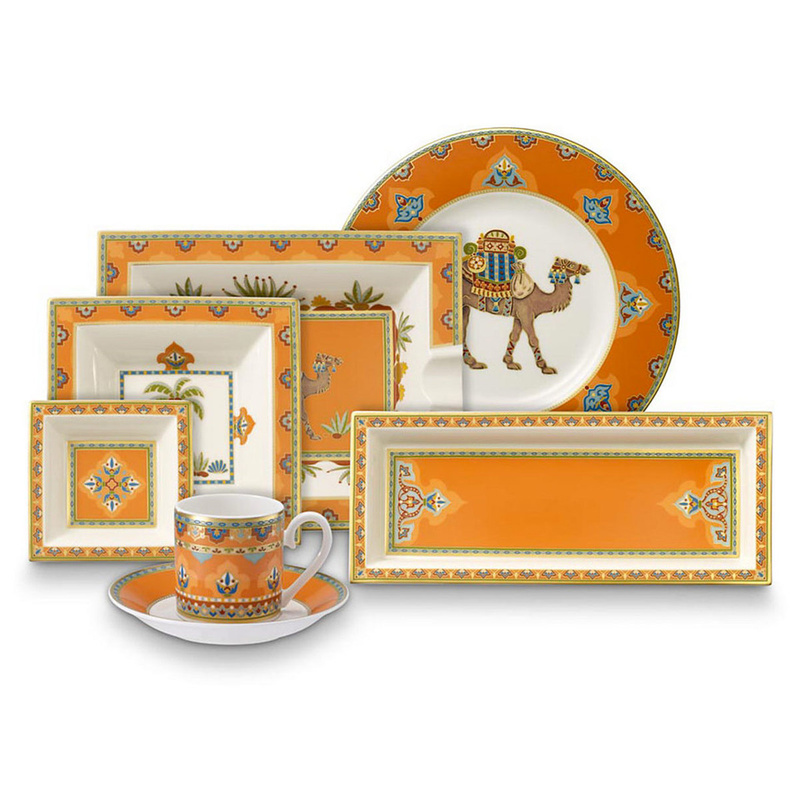 The ashtray Samarkand Mandarin by Villeroy & Boch is very fine and original and it can also be used as an elegant piece of furniture in any room of the house. 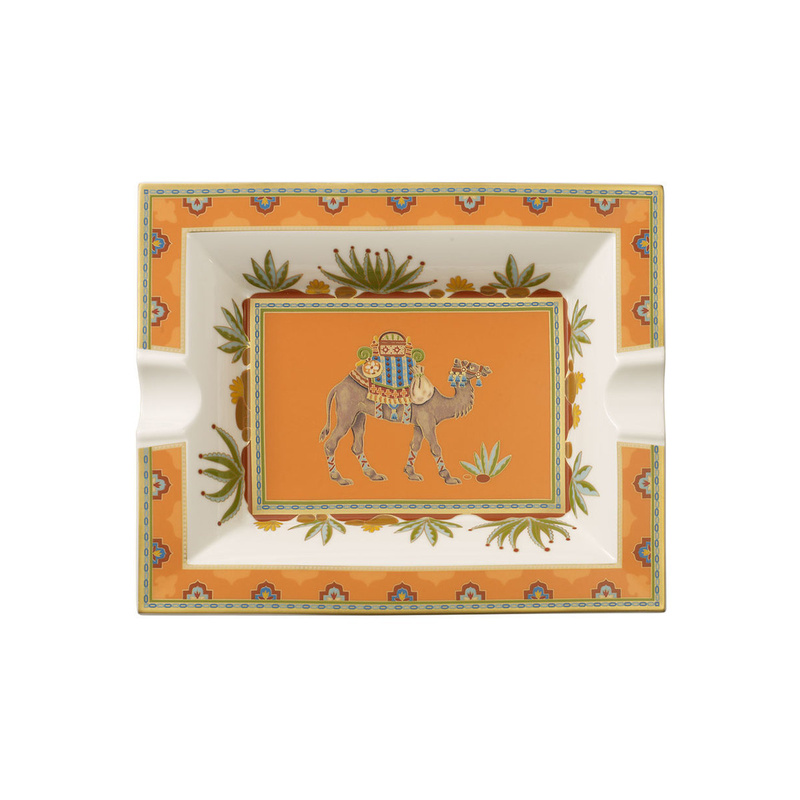 This ashtray is 21 cm long and 17 cm wide, and it is made of high-quality porcelain, in orange and white; the edge is finely decorated with geometric motifs and in the center there is the drawing of an elephant that recalls those of the Arabian Nights tales. And all around the elephant there are some beautiful leaves. The Mandarin ashtray forms part of the Samarkand collection, which is inspired by the magical oriental atmosphere and it can also be combined with other products in the same line like plates, cups, saucers, square cups to set the table in a very elegant way. This line is perfect to organize a relaxed afternoon with friends and to serve tea or coffee in such a refined way that you will amaze your guests thanks to these very original and decorative products. This ashtray is also very durable and dishwasher safe, because it's unalterable. The Samarkand Mandarin ashtray is also a great gift idea, as it is contained in an original blue box and can also be selected as a refined and exclusive wedding gift for weddings or anniversaries. You can match it with another ashtray of the Aquamarin line, which also forms part of the Samarkand collection, to make a very fine and elegant combination. Villeroy & Boch is a German company that since 1748 produces fine porcelain collections well-known all over the world. The production of its porcelain items is very elaborate and it requires special technical skills and continuous innovative research to optimize the functionality of the products. Every production phase is always carried out in the full respect of nature. The Samarkand Mandarin ashtray is perfect for those who love to surround themselves with beautiful and original objects, for those who love the attention to detail even in furnishings and for those who want to furnish their homes with class thanks to very decorative objects, but also functional and suitable for everyday use.